first I hope that is it okay to post builds from outside the US and I don't miss some rules. 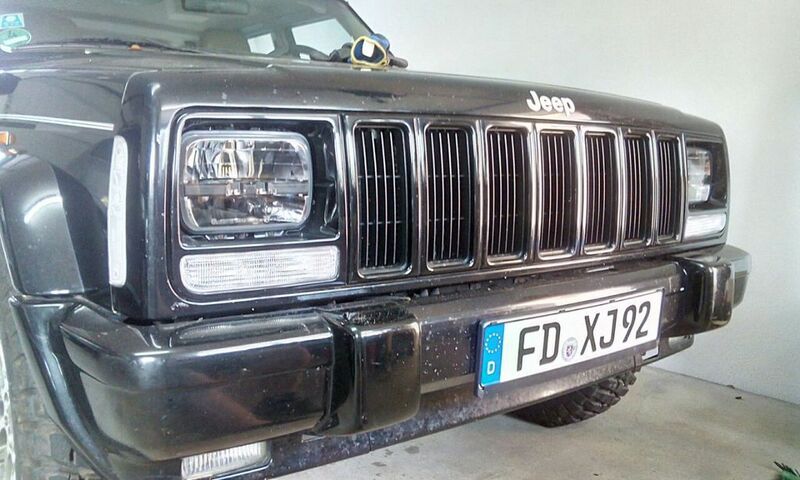 In August 2017 I bought a Jeep Cherokee XJ 4.0 Auto Limited with 240.00km (thats about 150.000 miles) for 4000€. 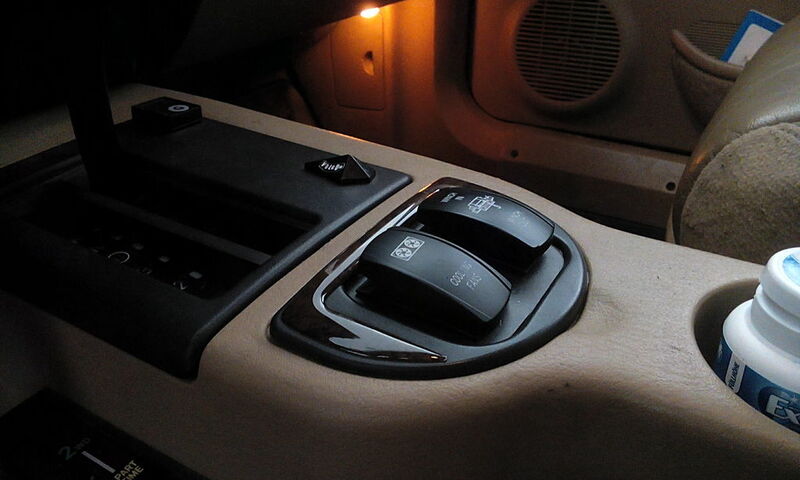 It have a dual system with fuel and LPG to save some money. 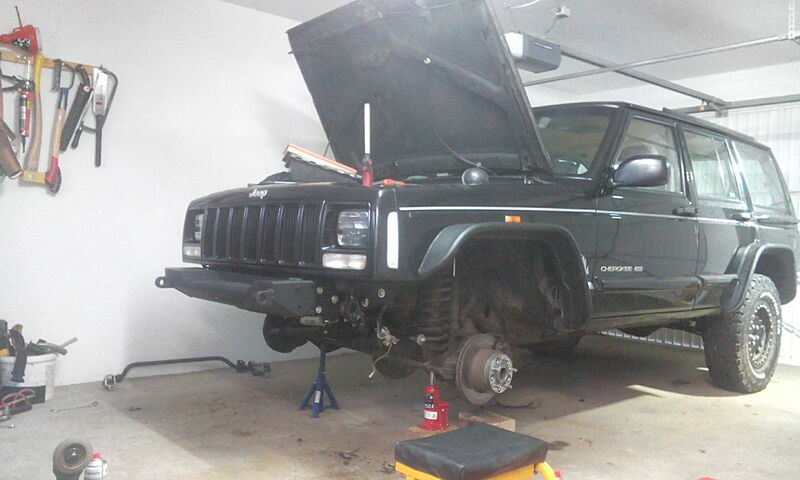 Because I had a Cherokee XJ 2.5 Diesel before I knew that this car will cost me some time. The XJ had some issues when I bought it. There are also some plans for bulding. 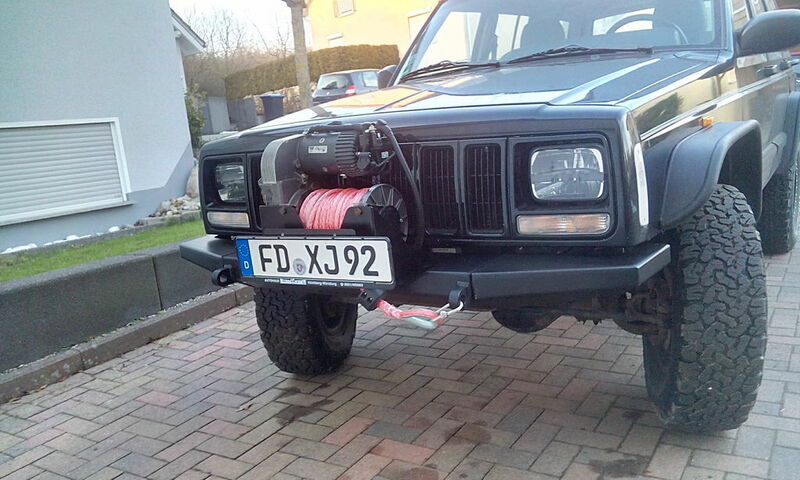 Well, I startet to put some Truc Lite in the XJ for better light. That wasn't plug and play. You have to trim some metal. 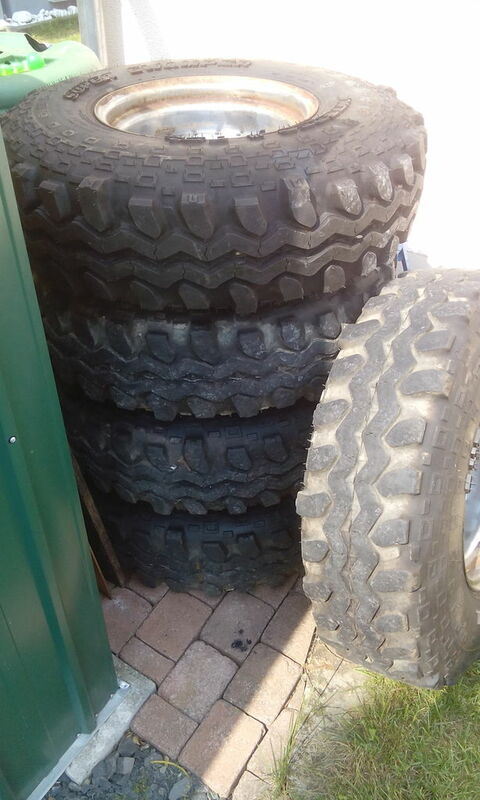 Than I picked up my 31" tires - and I realized that they wont fit without a lift. So I orderd a lift kit. 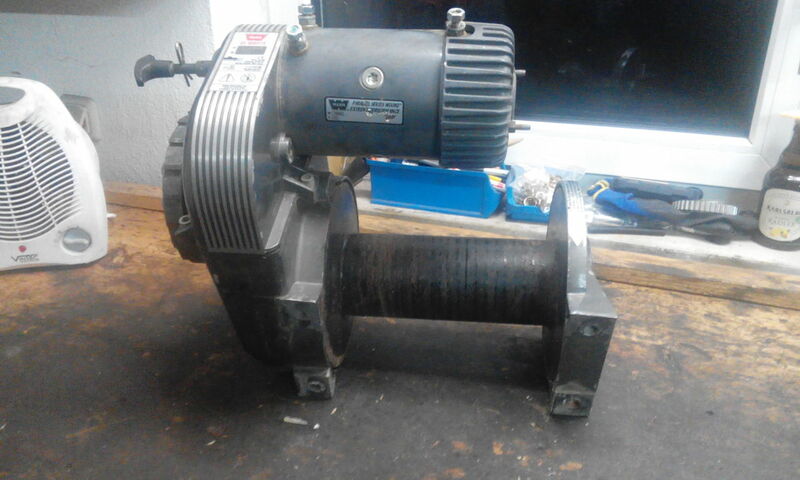 I want to keep the costs low so I bought a Old men Emu 2" kit with trimmer pack an without the shocks. 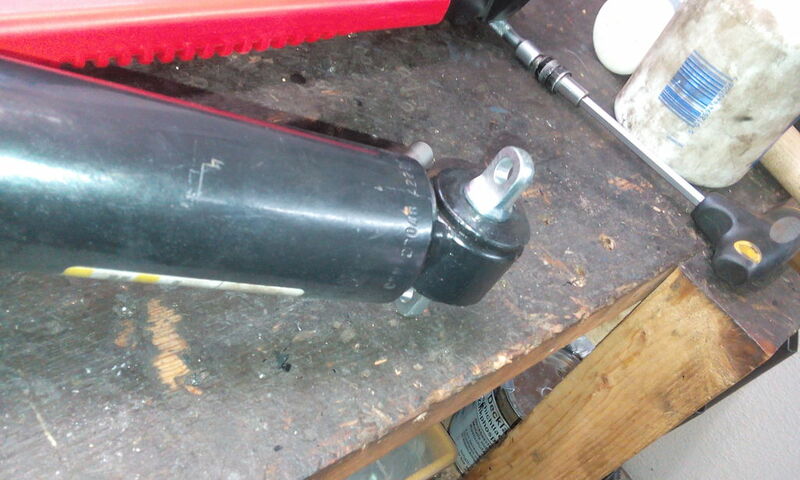 I have some JK stock shocks at home so I bought some barpins to use these shocks in the XJ. Because of the rust it wasn't easy to geht the new rear leafs in. A lot of bolts have to been cuted. The JK shocks seems to fit well. There are some issues with the stock fender flars. 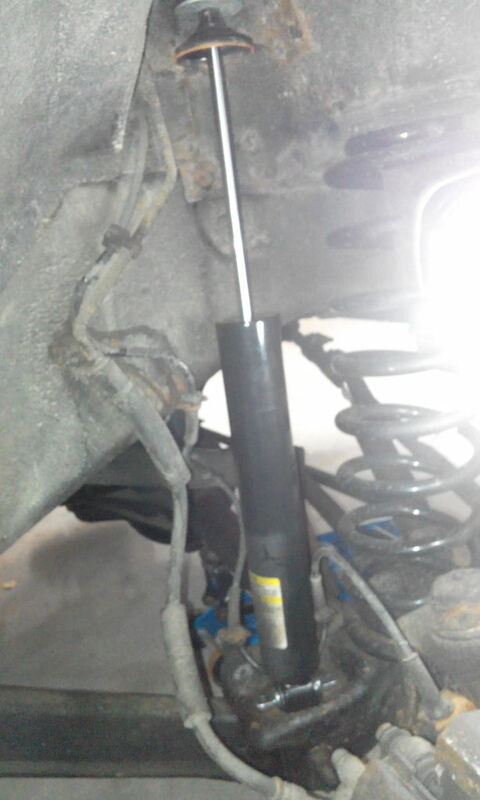 Without the swaybar and fully flex it will rubby horrible. 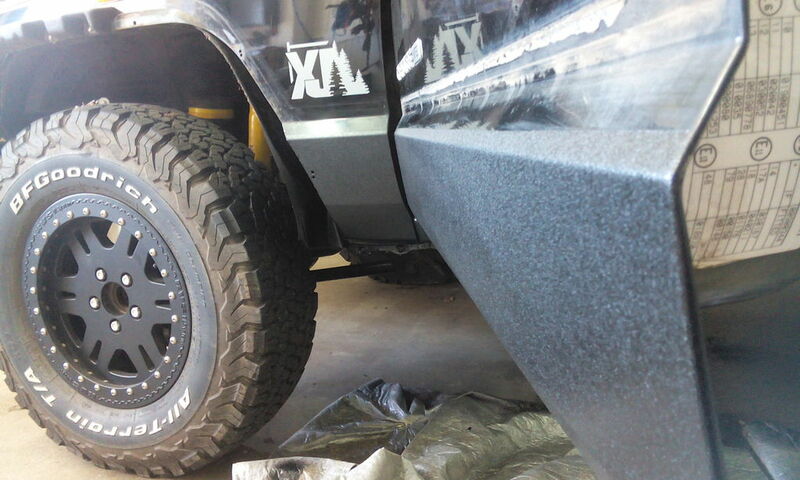 So I decided to go with bushwacker flat fender. 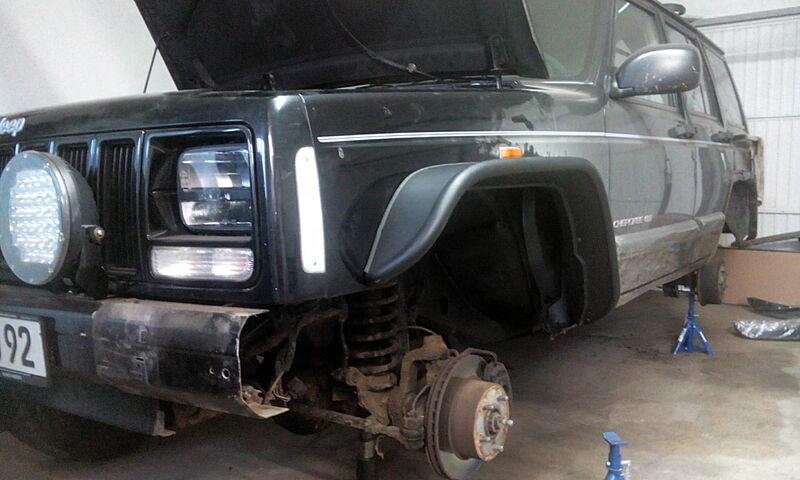 Meanwhile I picked up an used Warn 8274 - normaly the is for my JK, but the dont fit on it. 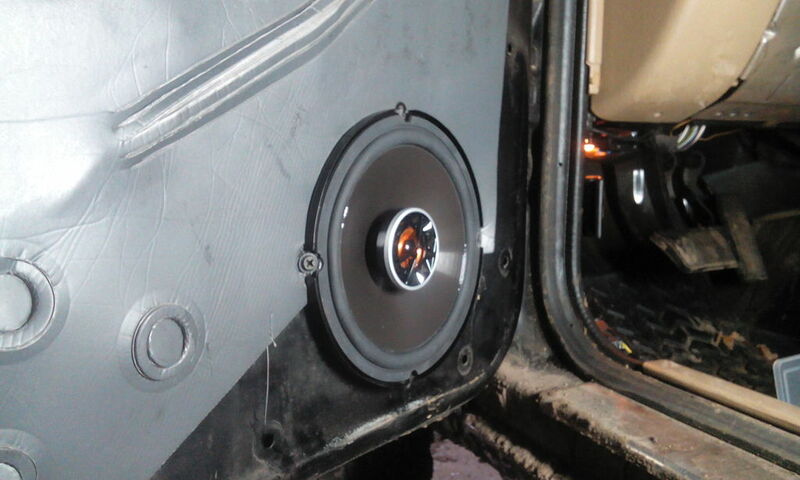 So I will mount them on the XJ. 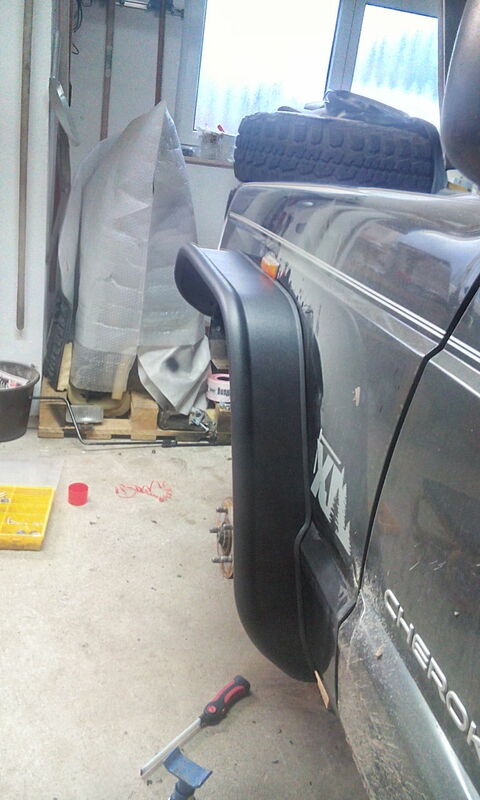 Lets start with the flat fenders. That takes longer than I expected, because the fitting isn't as good as I want. So I have to do a lot of fine trimming to them. 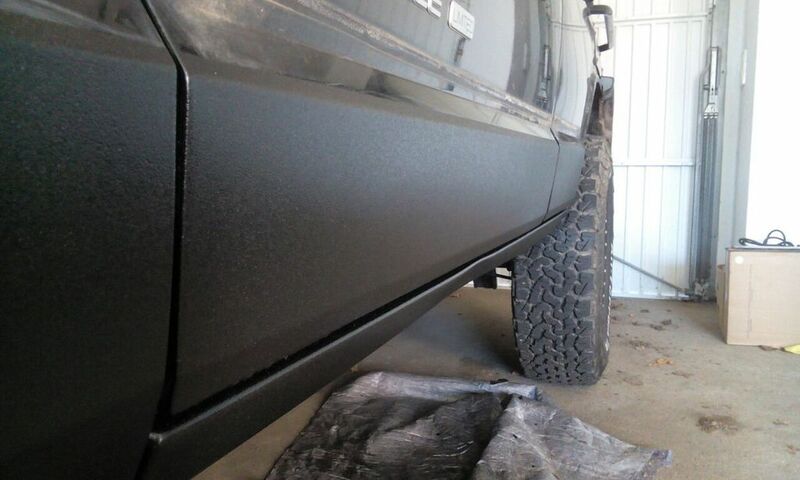 I ordered a new bumper from ARES Fabrication. The build some nice stuff. I like it. 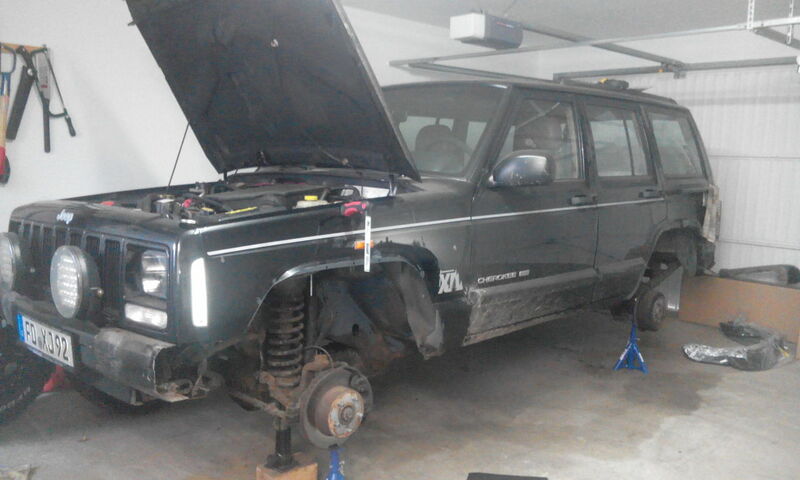 So - there is a lot of work to do on this XJ. I have some new short arms, track bar, batteries, radiator and other stuff hier. I just have not enough time to bold it in. So stay tune - it's not finished jet. I think your fine to post here even from Germany. Not mistaken we have some folks out of the country to include Canada and few other places. There is also a member who is Military I think...who is in Germany that has created a build. He is running something similar in his with the LP setup which is normal for Europe. Keep the build coming its nice to see folks around the world keeping these more than capable all around vehicles on the road and upgrading them to their needs. Nice build, and that winch is a damn beast...I want one ! 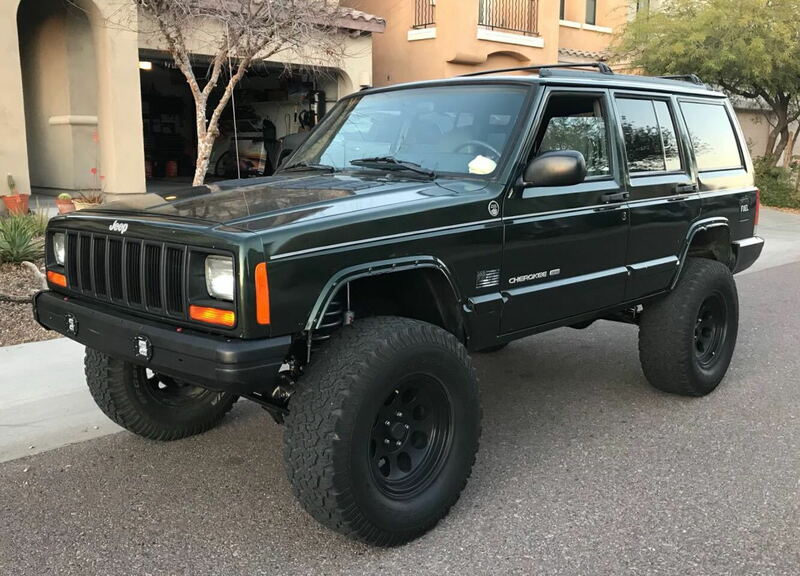 yesterday I picked up another XJ. 2.5 Diesel, 60 Years limited edition, 4,5" RE suspension, 100.000 miles - no rust -> 4500€. I bought them because the XJ have front and rear OX Locker and 4,10 gears - all the things that my 4.0 XJ needs. 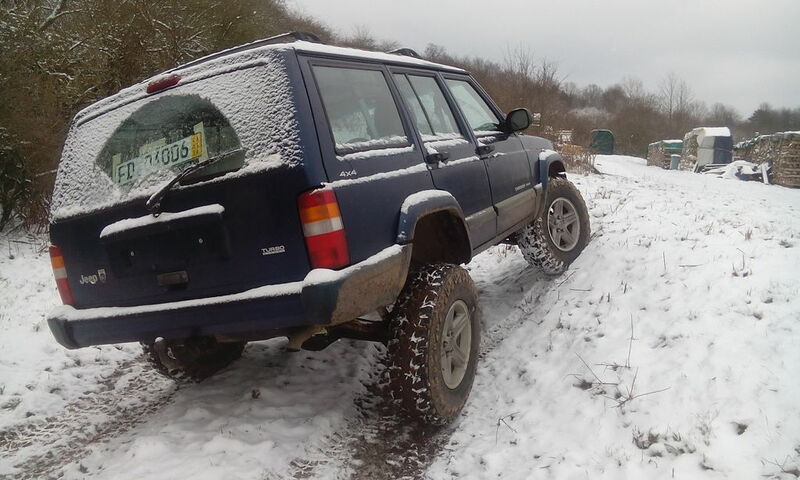 So I will swap the axles and resell the diesel Xj. 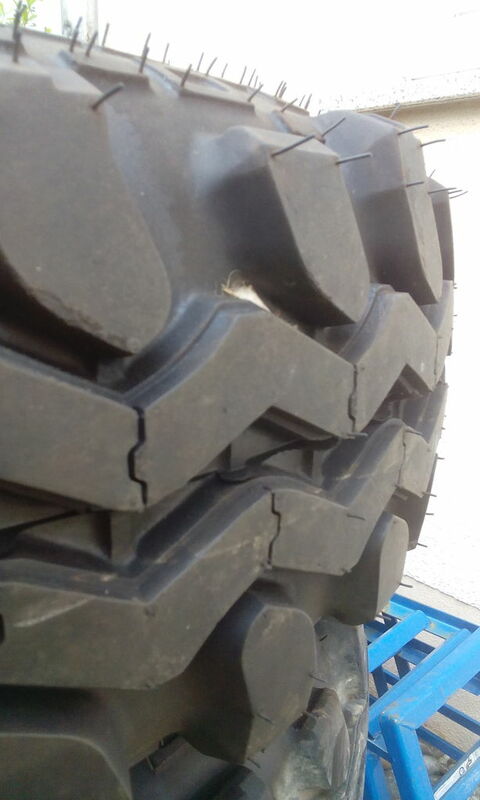 The Diesel have an interesting tire size. 235/85-16. 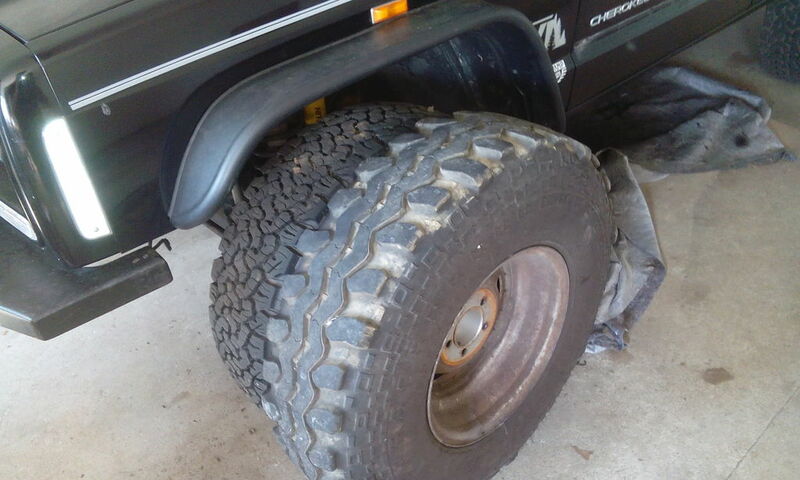 Maybe the tires will fit my XJ but I think they are to big. 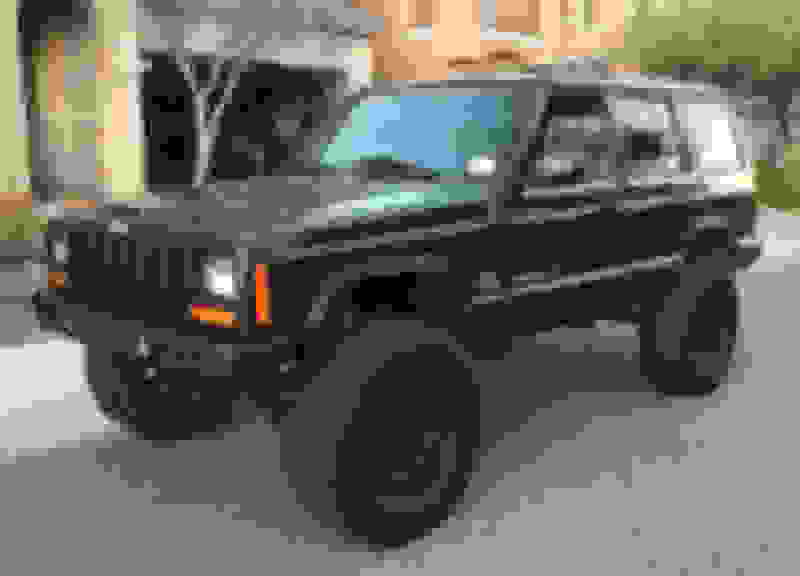 Damn that is too bad I would take the Diesel XJ. I love Diesels! 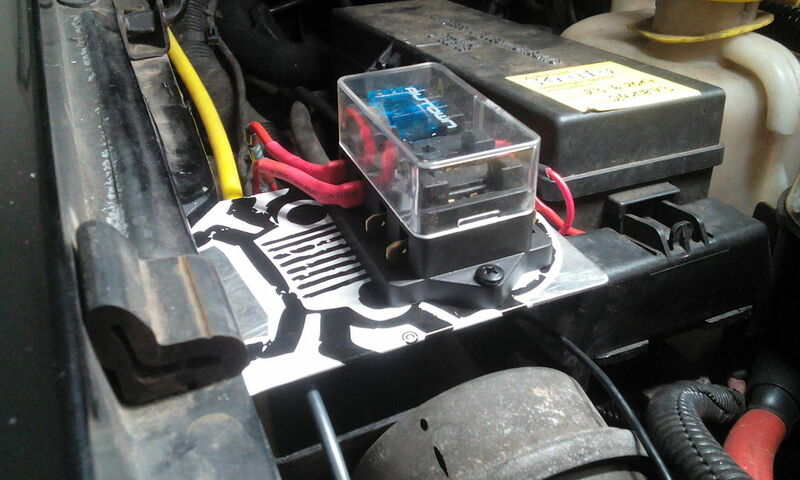 after all that i heard, the XJ diesel is a worse engine. 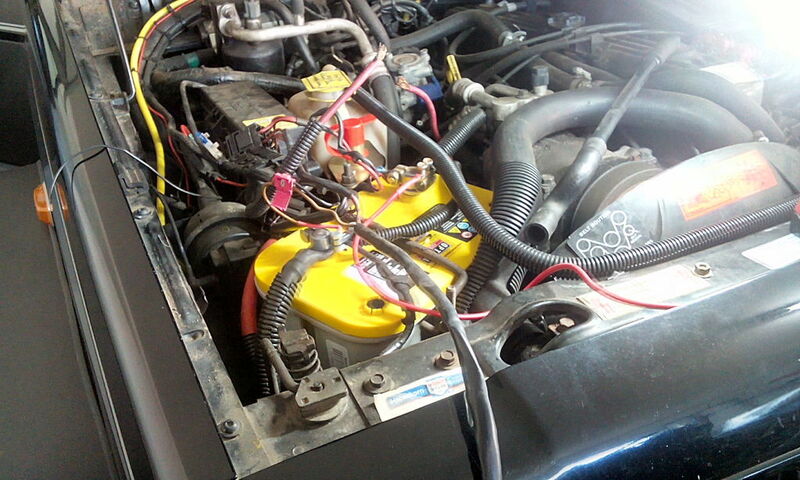 The cylinder head does blow off because of th heat. I like Diesel to. My Wrangler JK is an 2.8 Diesel. i like that rear cargo addition, might have to look into one myself. I ve a Problem. 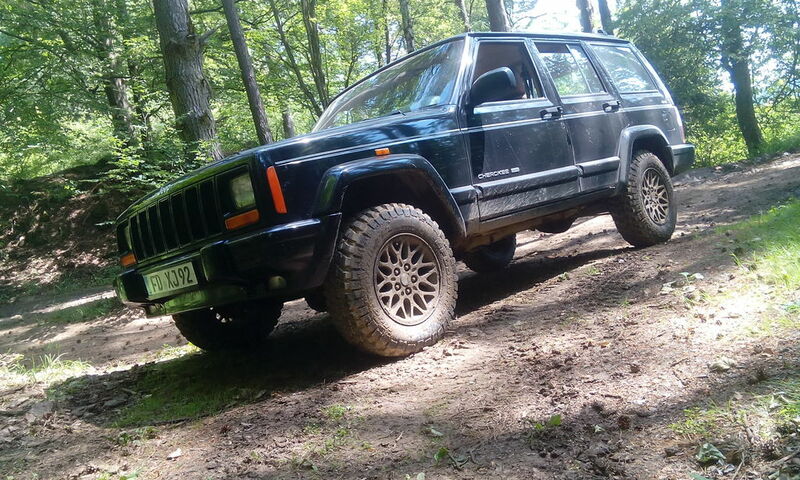 Actually I have 245/75 R16 tires on my XJ, 7x16 RIM with nearly original backspacing and 30mm wheelspacers. I want to go with wider, maybee a little bigger tires because the flat fenders are so large. 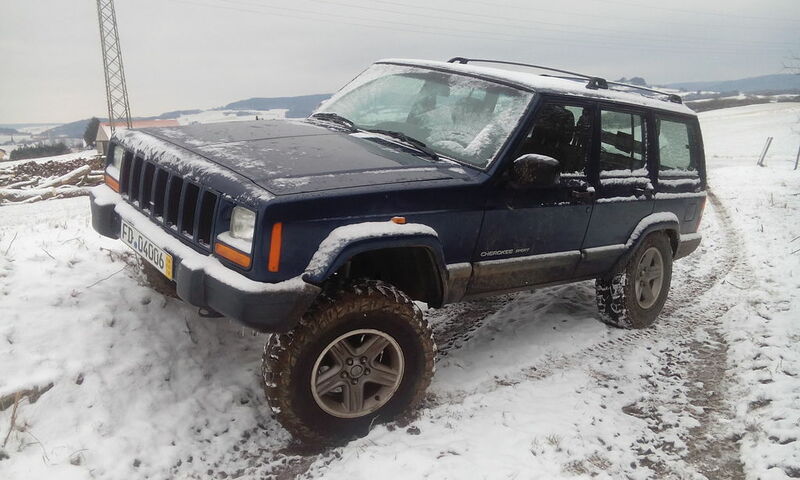 The XJ have a 2" lift. Do you Guys know with tires and witch rims looks good and will fit perfectly with this fender and will not rub on it? I would look at a 285/75/16 which is about the same size as a 32", or a 305/70/16 which is similar to a 33". Depends what size you want to run and if you want to regear. I am running 305/70/17 on 16x8 MT Alloys, with 3.5 inch lift. today I did something against the rust. Well, there wasn't that much rust, but before it gets more .. First I grinded the rust and old paint, then I used some kind of rust converter with a primer. 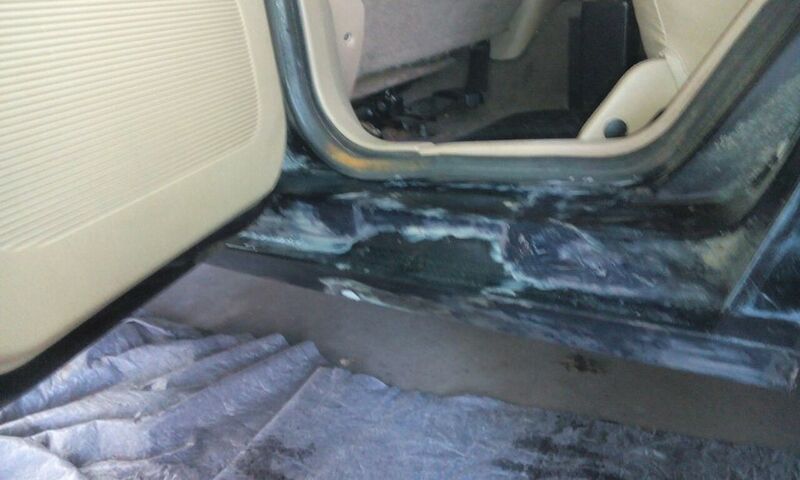 I also sprayed it inside the sills. That worked really well. I decided to not overpaint it with the original paint. So I go with Herculiner-Spray. I think its more robust. 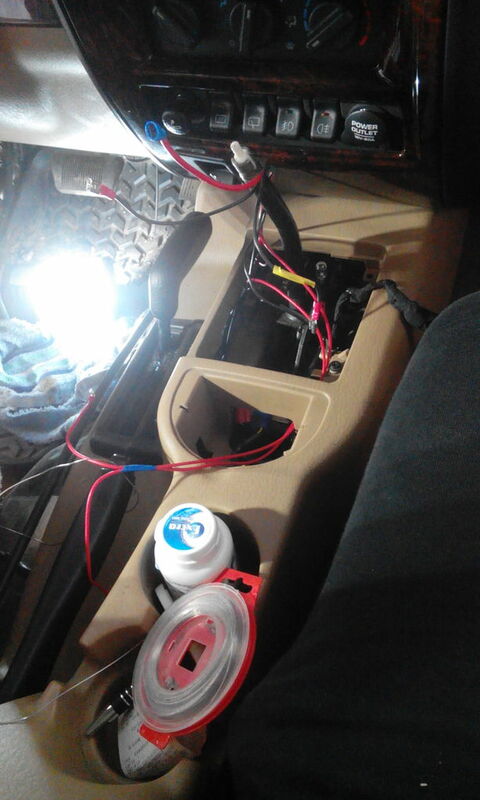 Than it was time to do something against the wiring mest. This is the pre-owners fault. 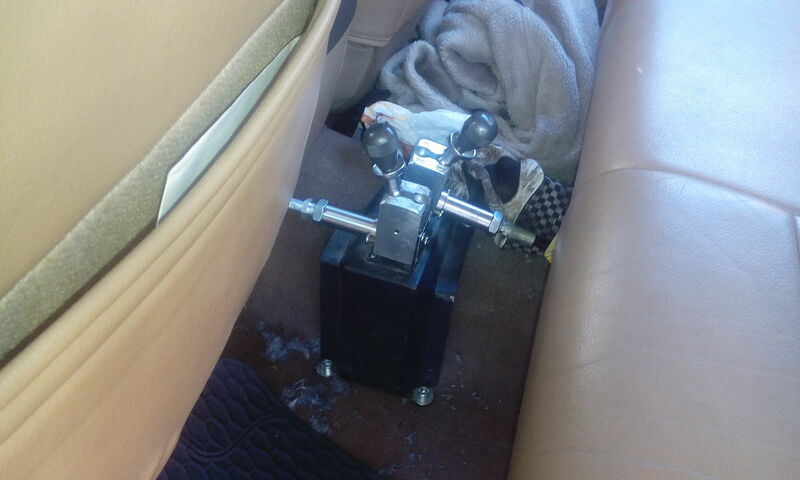 So I build a little fuze-box-mount, better two. One on the left, one on the right side. 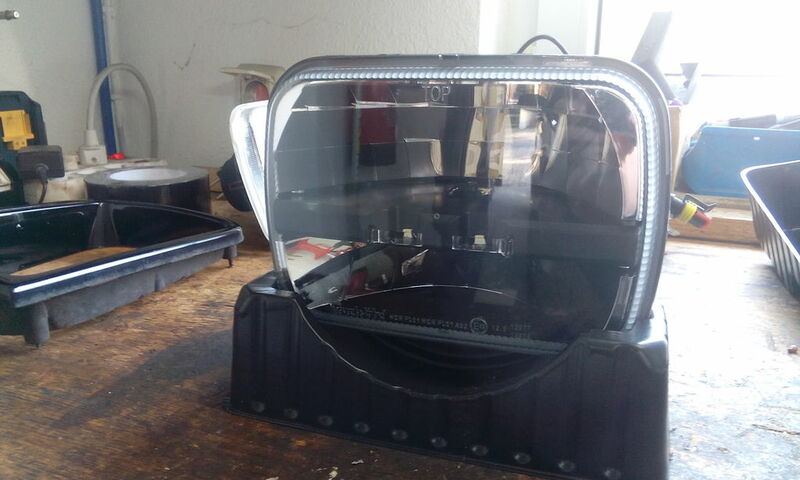 The second fuze box is also conected to the fan. 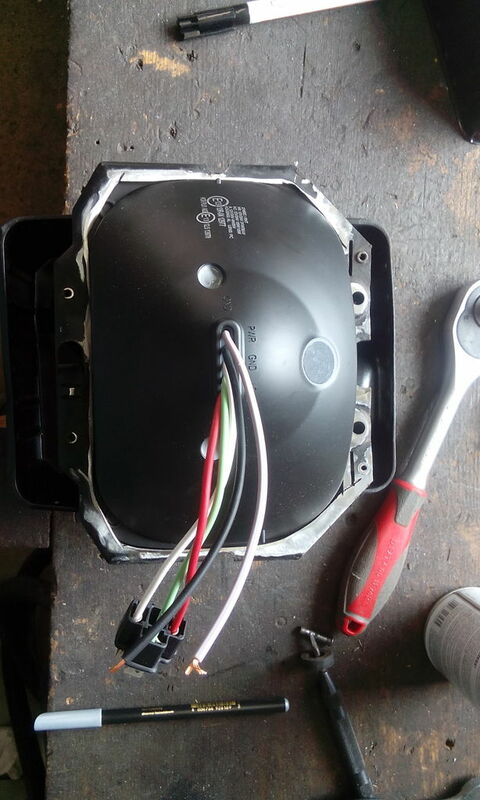 So I installed a Fan-Override with a relais wiring plan. 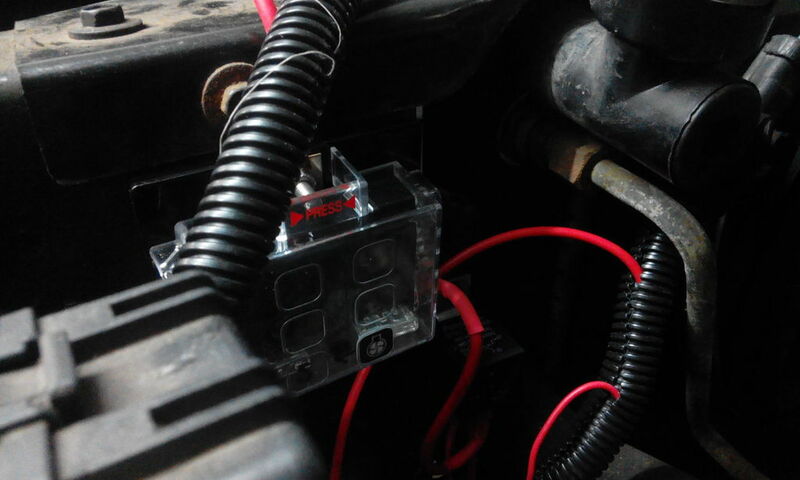 I also planing a high idle switch and some light cubes. 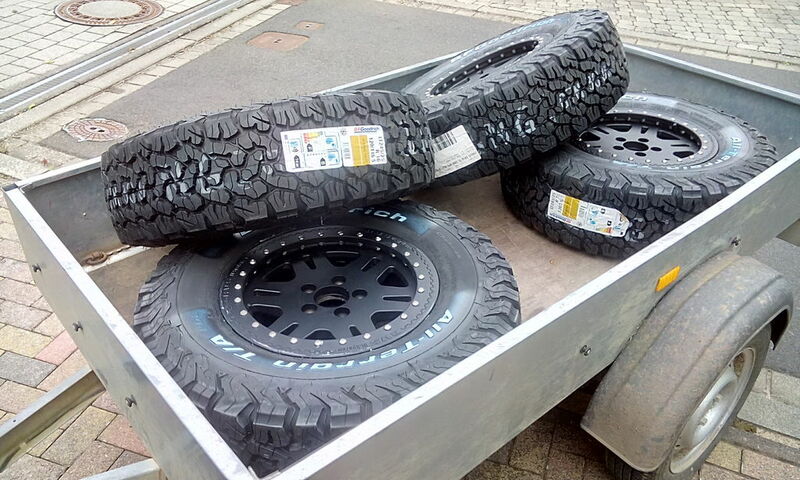 Also I picked Up a used set of super swampers 80€ a wheel. 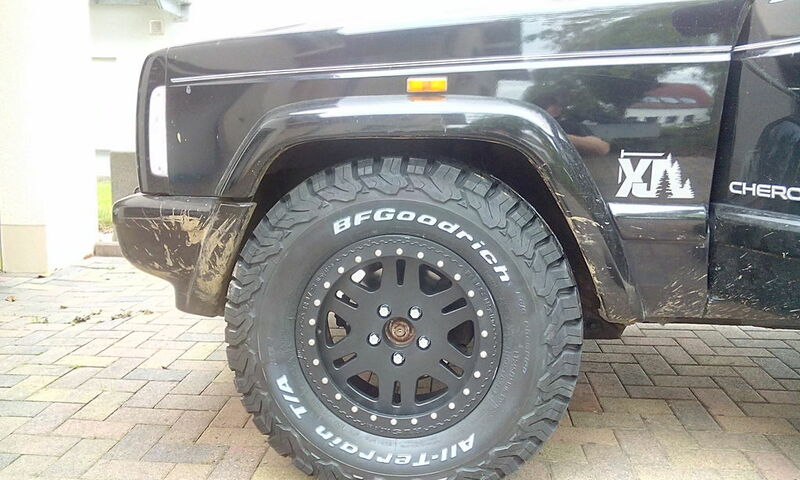 Normaly you pay for one swamper 320€ in Germany - without a Rim. I think I need 1" of extra lift. 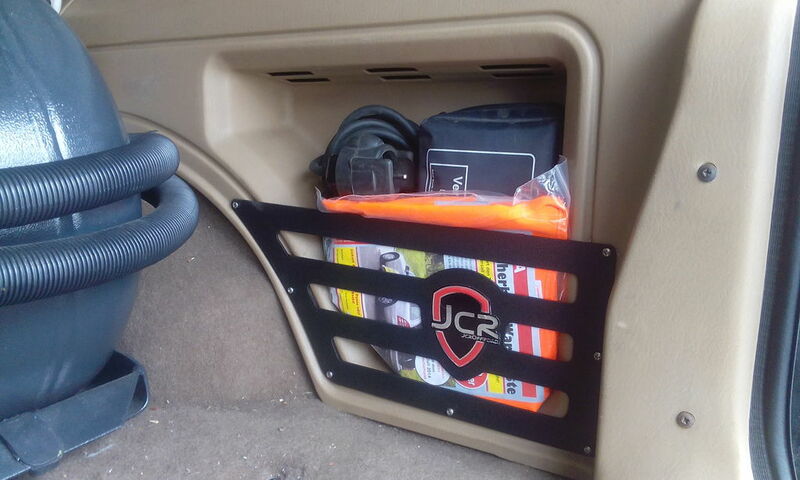 Nice... that is the same thing i am hoping to do, get ox lockers and have those handles.